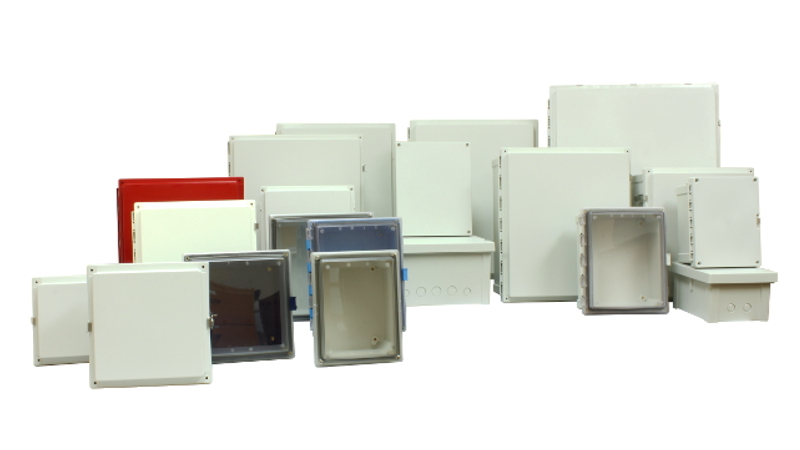 Fibox’s ARCA – JIC (Joint Industrial Council) non-metallic enclosures provide users of traditional electrical junction boxes an easy upgrade path to a robust, high-performance solution. 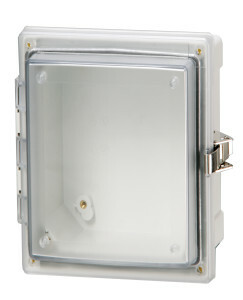 Available in JIC standard sizes, the ARCA – JIC polycarbonate enclosure series is UL listed and rated NEMA (National Electrical Manufacturers Association) 4X and NEMA 6P junction box (ingress of water) of unparalleled value. With custom cutouts, printing ,and colors available and all the standard hardware and accessories, you might need Fibox can easily customize your ARCA enclosure and make it unique to your application needs. Fibox is proud to offer the industry’s first and only NEMA 4X non-metallic JIC enclosure with formed- in-place knock-outs (KO) in select sizes. Industry standard ¾ and ½ inch pre-formed knock-outs provide an easy DIY custom enclosure modification in the field or factory floor while still allowing the ARCA – JIC to retain its NEMA 4X status when using NEMA rated cable glands.